Learn how to create a cozy shelter for your furry friend. From high-end to truly unique, browse through the homes of some very lucky dogs. 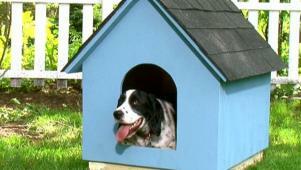 Check some of the latest trends in eco-friendly, tricked-out and stylishly cool doghouses. 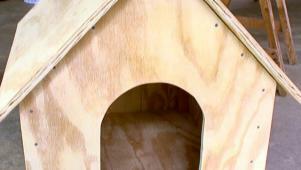 We asked DIYNetwork.com fans to upload photos of their handcrafted doghouses. See the grand-prize winner, the equally talented runners-up and some honorable mentions. 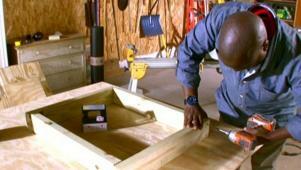 Here's how to build the base out of a green treated 2-by-4 and plywood. 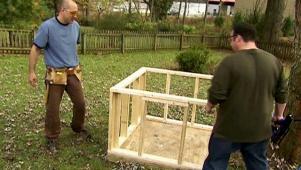 Gather materials and the plan to build a classic doghouse. 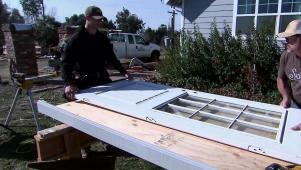 Here's how to attach the plywood roof panels to the doghouse. 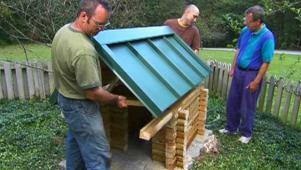 Here's how to build a doghouse out of a single sheet of plywood and lumber. 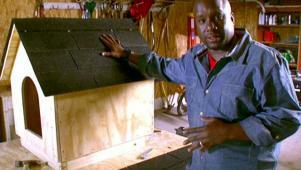 Here's how to add shingles to the roof of the doghouse. 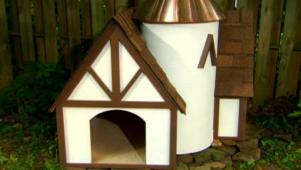 This German-inspired doghouse is a sturdy, quaint retreat for these pups. Australian cattle dogs like high perches, so Kenny creates a dog treehouse. 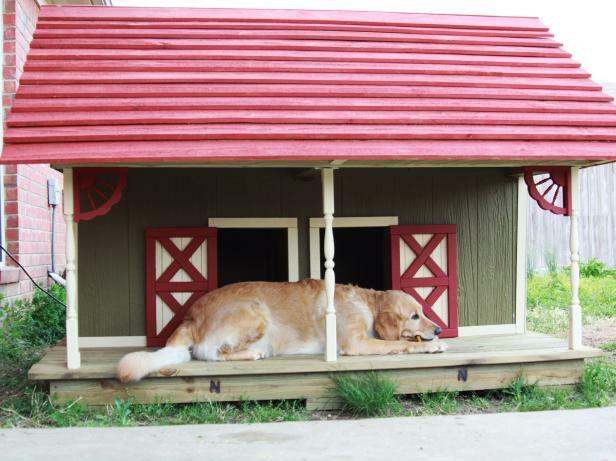 This simple log cabin design turns into one amazing doghouse. 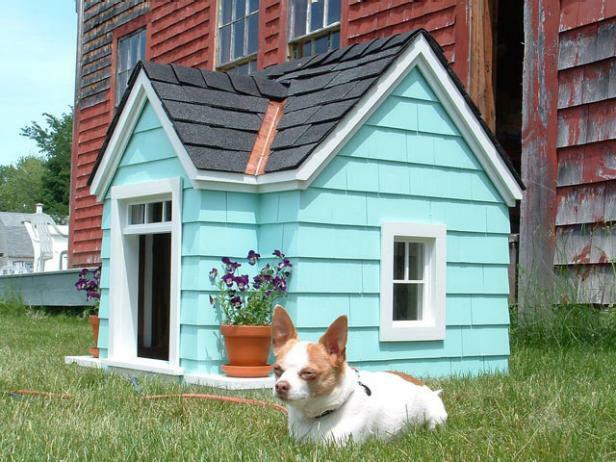 A DIY Kits primer on building a house for man's best friend. 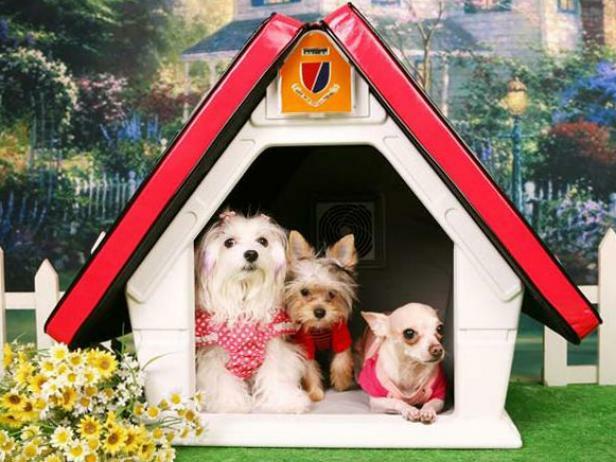 Two lucky pups get a custom canine camper to call their own.